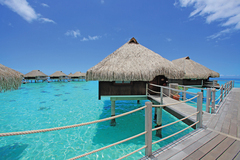 Pacific Holidays Tahiti Vacation Sweepstakes! 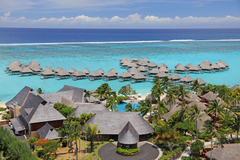 (PRLEAP.COM) February 21, 2015 - Pacific Holidays, a worldwide tour operator that provides travel to Asia, The South Pacific & Latin America, is excited to launch a Facebook sweepstakes that gives users a chance to win a 6 night vacation to Tahiti. The sweepstakes will run through February 28th, and a winner will be announced shortly thereafter. No purchase or payment is necessary to enter or win. In fact, a purchase or payment of any kind will not increase your chances of winning. Participation is simple. People who wish to enter are encouraged to visit and "like" Pacific Holidays Facebook page where they will be directed to submit their name and email address. The winning travelers are responsible for mandatory Bora Bora airport transfers of $125 per person. Also, airfare and city tax of $2 per person per day that is to be paid directly at the hotel are not included. Travel dates for the vacation to be used are March 1-31 or Nov 1-Dec 10, 2015. Pacific Holidays offers worldwide tours throughout Asia, the South Pacific, and Latin America since 1993. The company prides itself on putting together exciting, fun itineraries for people looking to explore new lands and cultures. Whether the tourists are resting in a felt tent home of a Mongolian herdsman or admiring the Iguazu Falls of Argentina, Pacific Holidays offers a once - in - a - lifetime adventure that is perfect for honeymooners or vacationers. Those interested in learning more about these exotic trips can contact the company by calling 800-355-8025, emailing sales@pacificholidaysinc.com, or by visiting their website at pacificholidaysinc.com.